By Jeff Aranow: Former welterweight champion Antonio Margarito will be back inside the ring on September 2 in facing 30-year-old journeyman Carson Jones in a scheduled 10 round fight in Chihuahua, Mexico. The Margarito-Jones fight will be televised on beIN Sports Espanol. There are probably enough boxing fans that still remember Margarito for his past accomplishments 9 or more years ago for them to want to tune in to see him fight Alvarez. Margarito isn’t the same fighter that stopped Miguel Cotto in the 11th round on July 26, 2008. That was the high point for Margarito’s 23-year pro career. Everything since then has been pretty much downhill for Margarito. The 39-year-old Margarito (40-8, 27 KOs) hasn’t seen action in over a year since beating Ramon Alvarez by a 10 round split decision on August 13, 2016 in Tijuana, Mexico. Ramon is one of the brothers of former two division world champion Saul “Canelo” Alvarez. He’s obviously not as talented as Canelo. Margarito had a hard time beating Alvarez. That was close. In Alvarez’s last fight, he was blasted out by Omar Chavez in 2 rounds on April 29 this year. That tells you how Margarito stacks up in the junior middleweight division. Omar Chavez is not a relevant fighter at 160. Margarito looked really slow in his last two fights against Alvarez and Jorge Paez Jr. He didn’t show the hand speed needed for him to be able to compete against the best fighters in the 154lb division. Even if Margarito could get back down to 147, he would still be out of his league against the top fighters of this era. Margarito’s record in his last 6 fights is 3-3. He was been beaten by Cotto in a rematch, Manny Pacquiao and Shane Mosley. The loss to Pacquiao was a bad one for Margarito in 2010. He suffered a fractured orbital bone of his right eye in that fight. Margarito went the distance, but it was at a huge cost, as his eye does not look good even today. 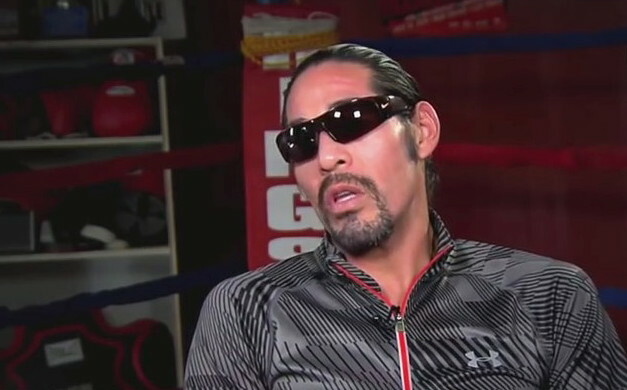 You have to hope that Margarito isn’t risking his eye sight by continuing his boxing career. Margarito is almost 40. He might be better off working as a trainer than continuing to fight. It’s unclear if Margarito has any aptitude as a trainer of fighters, but it would be worth a try if he’s too old to find success in the squared circle. Margarito was out of boxing for 5 years from 2011 to 2016 having retired. He returned to the ring in 2016 and struggled to defeat Jorge Paez Jr. and Ramon Alvarez. It looked like Margarito was going to be busy with his career in 2017, but he’s been out of the ring for the entire year and is only now getting back into action Paez Jr. is a journeyman, and it should have been an easy fight for Margarito. It should have been, but Margarito isn’t the same fighter he was 10 years ago. The 2008 version of Margarito that dealt Cotto a defeat would have destroyed Paez Jr. and Ramon Alvarez. Paez Jr. had Margarito down on the canvas in the 6th round. Margarito showed heart in getting back to his feet and coming back to almost stop Paez Jr. in the 10th round. Margarito was unloading on Paez with nonstop punches as the fight ended in the 10th. Margarito was a welterweight champion for a 7-year period from 2002 to 2009. He held the WBO, IBF and WBA 147 lb. titles during stretches during that time frame. Besides his win over Cotto, Margarito has victories over Sergio Martinez, Frankie Randall, Andrew Lewis, Kermit Cintron (twice) and Joshua Clottey. Margarito was beaten by Pacquiao, Sebastian Andres Lujan, Antonio Diaz, Danny Perez, Cotto, Shane Mosley, Paul Williams, David Kamau and Daniel Santos. The 30-year-old Carson Jones (40-11-3, 30 KOs) could be seen as the favorite against Margarito. Jones has won three fights in a row in beating Ben Hall, Starr Johnson and Mikel Williams since losing to Brian Rose in a rematch on August 1, 2015. Jones has previously stopped Rose in the 1st round on February 14, 2015. Jones lost a questionable 12 round majority decision to Kell Brook on July 7, 2012 in Sheffield, England. A lot of boxing fans thought Jones did enough to warrant a victory against Brook. Never the less, the fight was held in Brook’s hometown of Sheffield, and he’s the one that had his hand raised at the end of the fight. In the rematch, Brook left no question who the better fighter was in stopping Jones in the 8th round. Jones used the wrong game plan for the rematch. He thought he could soak up punishment for the first half of the fight, and then take over after Brook faded in the second half like in the first fight. However, Jones took too much punishment with that strategy, and he was knocked down in the 2nd round and stopped in the 8th by Brook. The 5’10” Jones is more suited to the welterweight division. He’s not likely going to go anywhere if he chooses to stay at junior middleweight for the remainder of his career. If Jones could move back down to 147 without being weight drained in the process, he might be able to give some of the top guys problems. At 30, it would seem likely that Jones has seen better days. Jones’ loss to Brian Rose in their rematch in 2015 showed he limits of where Jones can go in the junior middleweight division. If Jones stays in this weight class, he’s going to have to be satisfied with just being a second tier fighter.